With beautiful Oregon pine flooring and fixtures, adorned with antique furniture and dark hued Persians this old farmhouse takes you back to a bygone era. Large verandas overlook the indigenous garden while Nyala gracefully graze on the lawn or resident caracal saunter past at sunset...making this a coastal treasure. 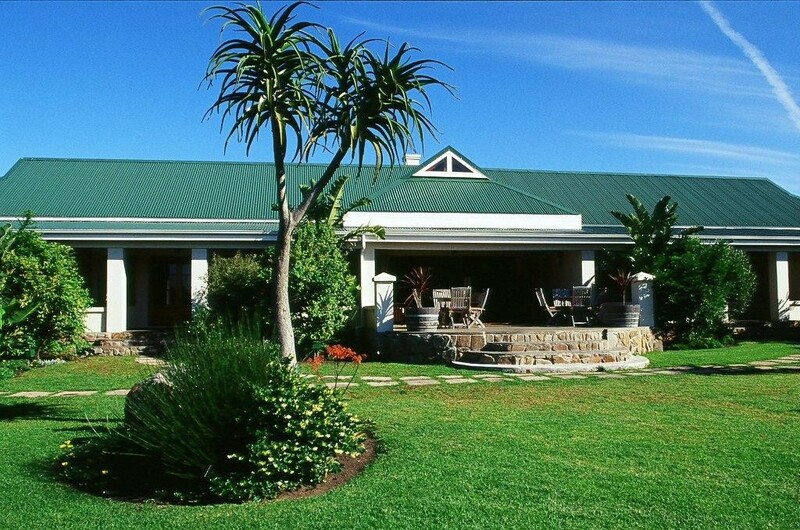 Originally built in the early 2000’s from absolutely nothing, this remarkable establishment captures the essence of a bygone era of an old African farm. 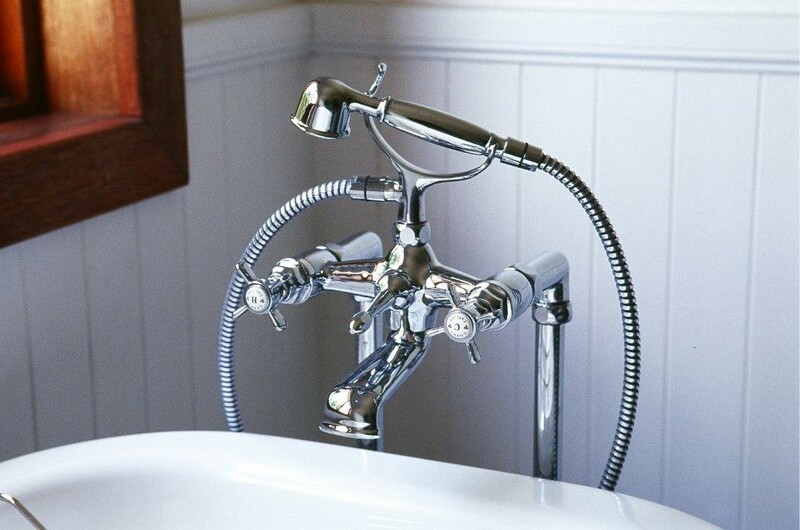 All materials were either recycled or brought in from the surrounding areas. The large stone fireplace that adorns the open plan living room with comfortable kudu skin leather couches was built utilising rocks from the nearby Gamtoos River Valley. 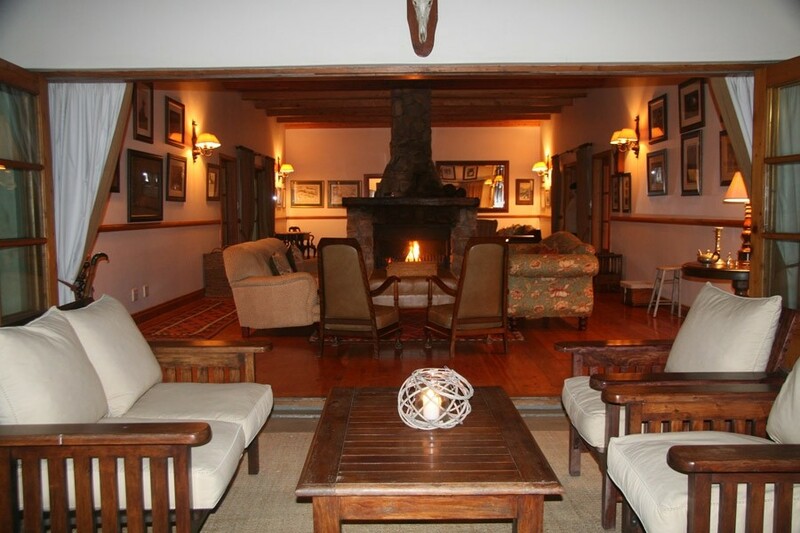 While the fire crackles away guests can sit back and relax and enjoy a selection of South African publications or reference books from our intimate library sipping on a complementary local Port Wine or Sherry. 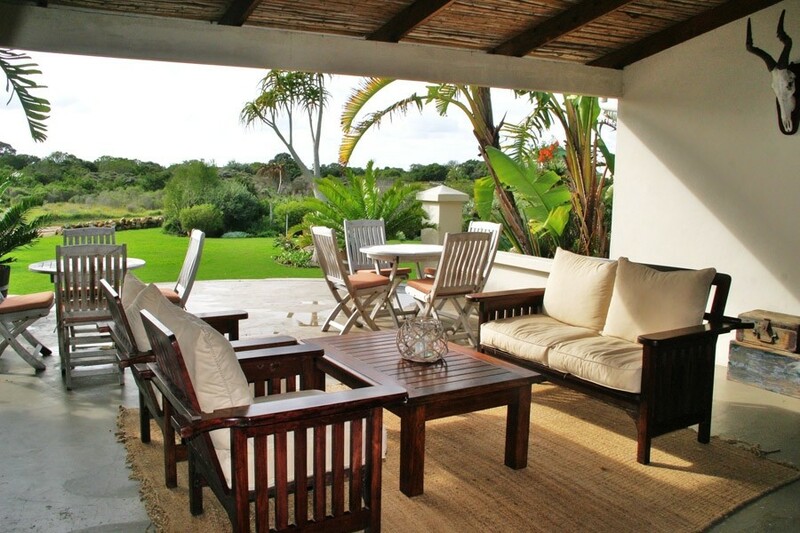 Surrounded by immaculately kept indigenous gardens Dune Ridge consists of six double rooms and one family cottage. 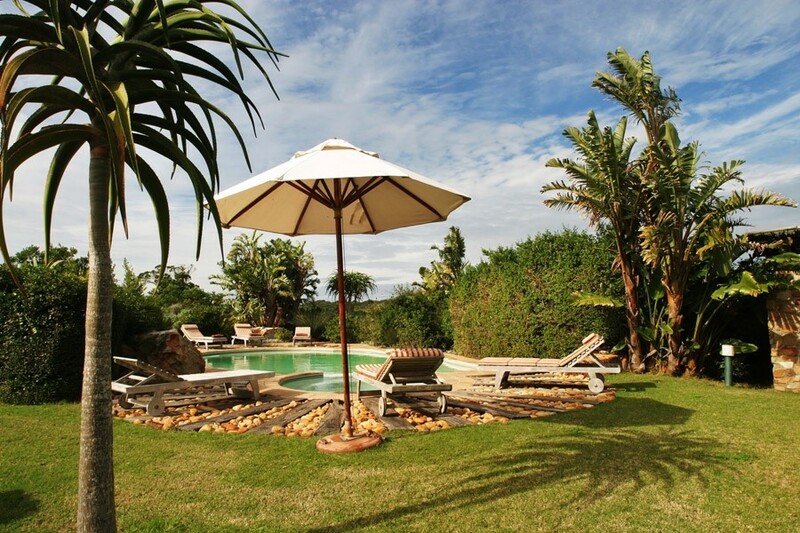 All have private patios and gardens and all guests can enjoy the guesthouse’s large sparkling outdoor pool. Set in the magnificent gardens with a spectacular view of the Estate, the recently renovated open-air Boma area provides an attractive alternative to the more formal dining room, offering innovative, informal meals with the focus on fresh wholesome cuisine or a traditional South African Barbeque. 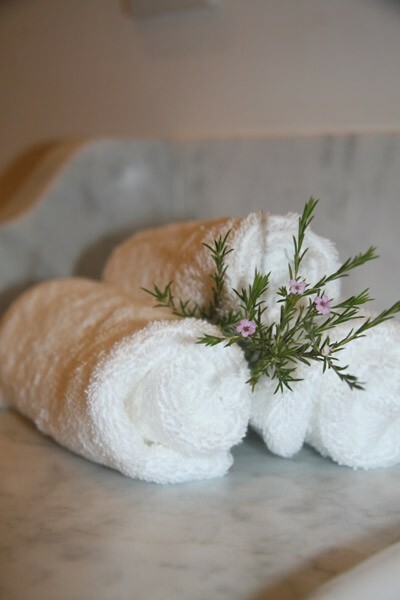 Aromatherapy, massage and reflexology are available on request in the privacy of guests’ suites or alternatively in our Bush Spa. 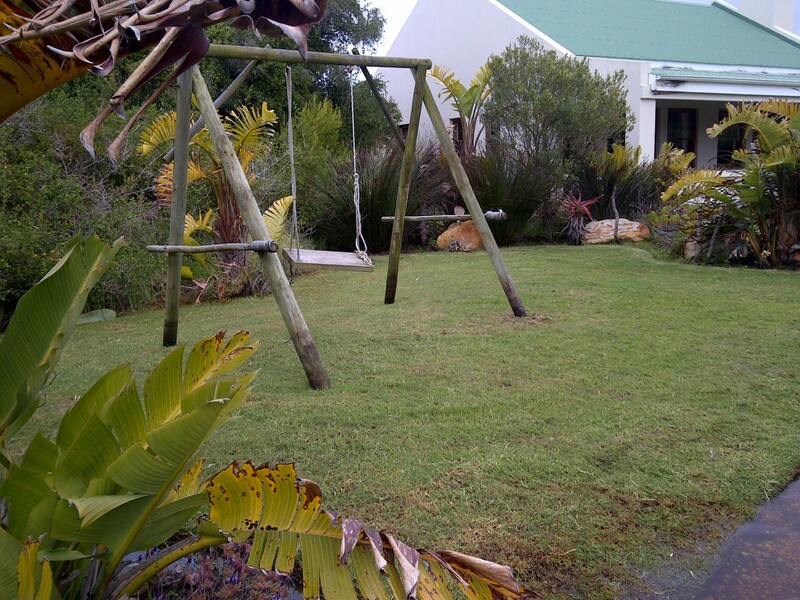 Dune Ridge’s additional features include an internet and e-mail facilities or business centre and a Curio shop. There are also two well known golf courses within easy access of the guest house one being the infamous Links in St Francis designed by Jack Nicklaus and rates as one of the Top 10 courses in South Africa. 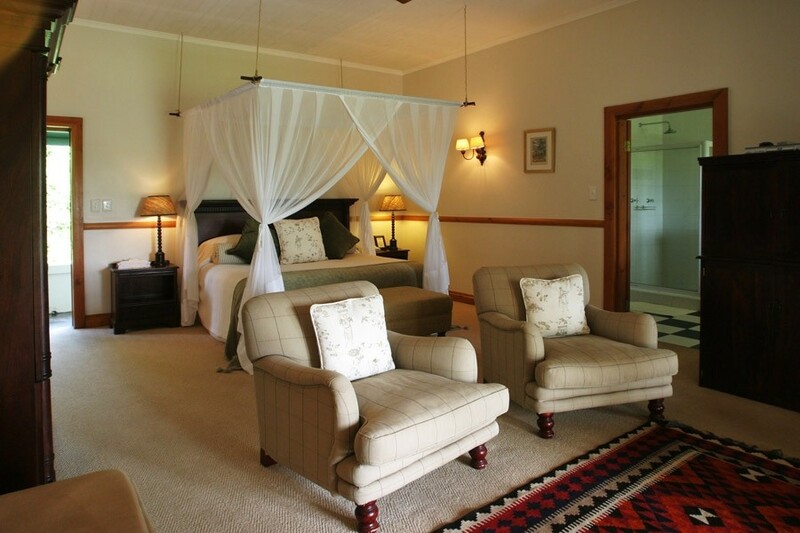 Dune Ridge offers a number of unique activities around the guest house which included Frog Safaris and Dune & Coastal Forest Walks. 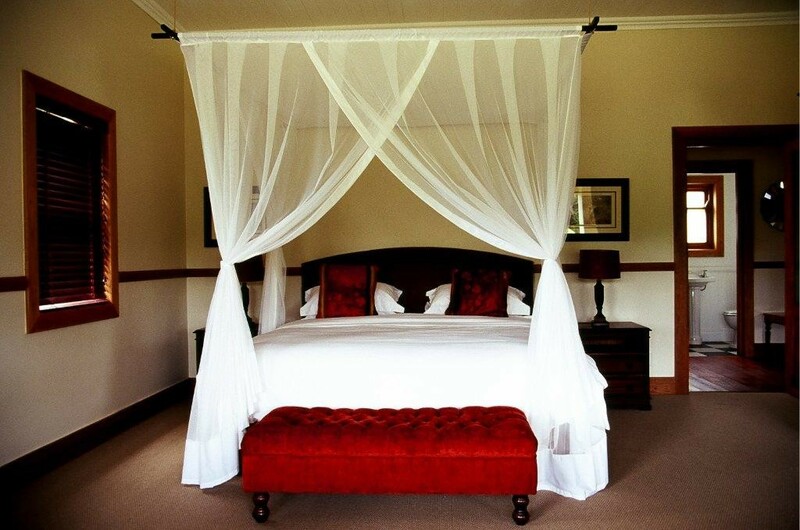 Dune Ridge Country House is a TGSCA graded 4 star establishment and in 2013 was the Provincial and National Lilizela Tourism Awards Winner in the four star guest house catagory. Exit at Humansdorp/St. Francis Bay and turn Left. Continue all the way down, through Main Street (Humansdorp) to the very bottom of the road. Turn left and follow the signs to St. Francis Bay along the R330. DO NOT turn off into St. Francis Bay village. Travel for 1.5km along the paved and then gravel road to our gate. Travel East on the N2, heading towards Port Elizabeth/Humansdorp. Exit at Humansdorp/St. Francis Bay and turn Right. Travel for approximately 800m and then turn right at the Dune Ridge signboard.